Yep, more pink today! 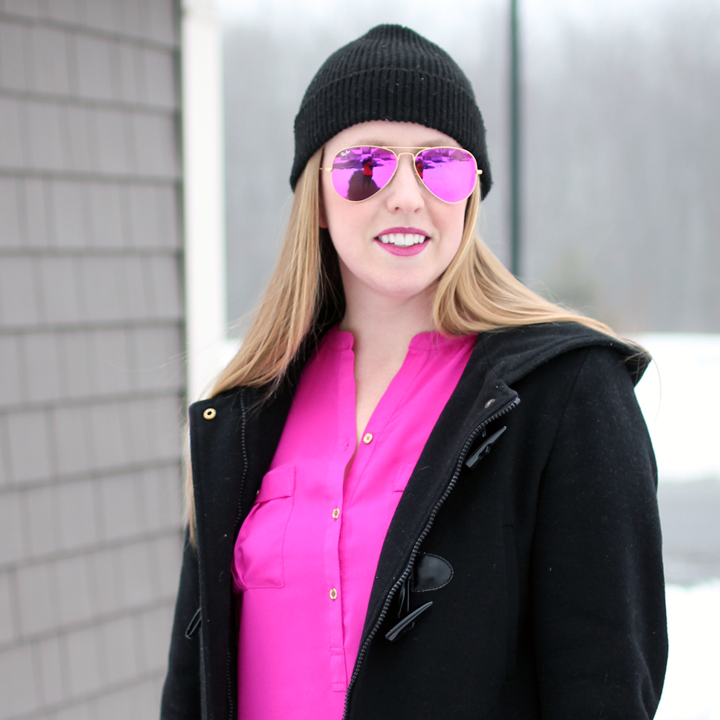 I incorporated pops of pink from top to bottom: sunglasses, blouse, nails and boots. It sounds strange to think of snow boots as a closet staple, but up here in N.E., quality snow boots are oh-so-important. I've never had a 'real' pair (that I can remember, at least). That's why I'm so excited for these.. Believe it or not, I've been dying for snow so that I could finally wear these classic Sorel boots! I know these boots will last years and years, both keeping me warm and dry (so important!) Plus, the subtle pink accents allows the boots to be girly without being too girly, ya know? I'm sure I'll be wearing these all day tomorrow since winds chills of -21 degrees are expected. Brrrr. Don't forget to check back on Friday. I'll be sharing a new, super cute outfit and co-hosting a 'Fab Favorites' blog link up! Happy Hump Day. 3 comments on "Pops of Pink "
These UGG Classic Tall 5815 Boots are worn throughout the seasons no matter the temperature and are great snow boots. They are lined with genuine sheepskin from Australia that surrounds your feet with warmth.